There are a number of reasons why people like to grind their own coffee. 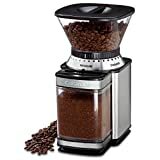 It is way fresher when you use coffee grinders to grind your own, the coffee beans are higher quality when you buy them whole, and you can pick the size and shape of the grounds. This is why coffee experts always seem to stress that for the perfect cup of coffee, fresh is always best and grind your own! When you’ve tasted “fresh ground coffee” you’ll suddenly know that you’ve been missing something vital in your morning brew. 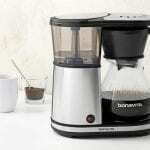 But, what are the best coffee grinders for fresh, great-tasting coffee? 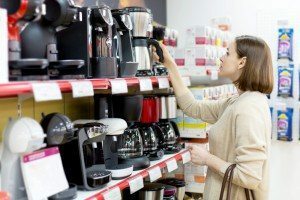 There are a lot of really inexpensive coffee bean grinders that can be found in many stores, but they tend to all be of the blade type, which offer multiple sized grounds in each batch. This inconsistency in the grind means that some of the larger grounds do not release their entire flavour, while some of the smaller grounds may get over cooked. This uneven cooking leads to coffee that can be bitter at the same time as it is weak, due to the different sizes of the grounds. Plus, if you let this kind of coffee grinder run too long, your grounds will be made into dust. Worse than that, most of these kinds of grinders create a lot of heat which burns the grounds each time they’re cut, making the coffee even more bitter and poor tasting. 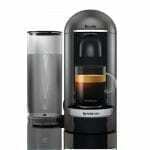 A burr grinder, on the other hand, uses a pressure plate to push the beans into a spinning surface that has tiny burrs cut into it. Each one makes an identically sized coffee grounds as it passes the bean. Plus, since the spinning surface with the burrs is much larger, it doesn’t get hot like the smaller, cheaper coffee grinders do. 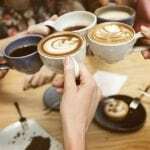 Burr coffee grinders are very popular, and in fact many restaurants use burr style commercial coffee grinders because they can grind better tasting coffee, faster. The grounds produced by the burr grinders tend to be very even and uniform so that’s what most coffee shops use in their businesses. 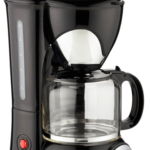 Most of these grinders are adjustable to make different sized grounds to accommodate the different styles of coffees like French Press, Percolator, or Drip Coffee. The surface with the burrs in it only needs to be adjusted to a different angle for the grounds to come out a different size. In the conical burr grinder, the burr surface moves at a very slow speed, never generating heat and being very silent in the process. 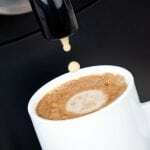 They rarely clog up with coffee grounds which can be important if you’re dealing with oily or flavored grounds. The wheel burr type is slightly less expensive than the conical burr and the surface with the burrs typically travels much faster as well. This makes it slightly more noisy and it does generate more heat, but not as much as the cheap blade grinders so it’s a good trade-off if you’re short on money. Be sure to gather all the facts and weigh all your options before making a purchase so that you can avoid possible future disappointments. 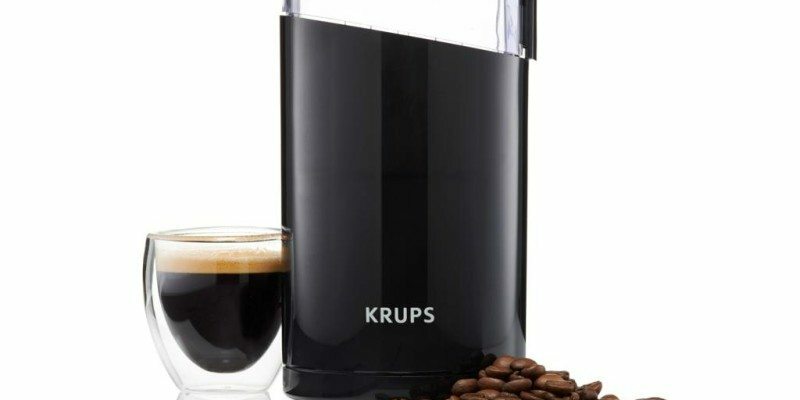 Here are some of the best Coffee Grinders. 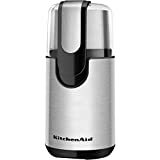 You’ll find hundreds of reviews of all the different grinders with lengthy explanations for their reasons to like or dislike a certain grinder. You’ll notice that there are quite a difference in prices ranging from near $14 all the way up to $230. However, many of the most expensive models would be considered commercial grade machines better suited for a business. Thus, if you want to compare the price of a latte at the local coffee shop at around $5, you can see that grinding your own coffee is a bargain. 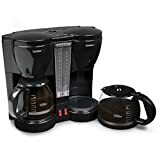 When you decide on the best coffee grinders for fresh coffee that suits your needs, be sure and read the coffee grinder reviews from the “verified purchase” column so you know they’re real. Take the time to read the poor reviews too, just to make sure there isn’t a reoccurring defect in the machine. 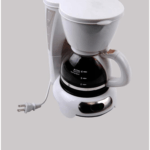 There are also great manual small coffee grinders available if you want to grind your own coffee. 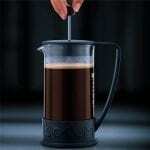 Manual or hand coffee grinders are fun and easy to use but you’ll have to work a little at it. 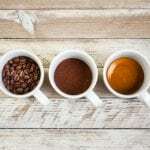 While it may take some practice, grinding your own coffee is definitely the better choice for coffee enthusiasts who love a great-tasting, quality brew. Remember, do ample research and read customer reviews to get the best idea of what you’ll be getting for your money. Grinding your own coffee is a money saver, and you’ll get better coffee at the same time, definitely a win-win situation.